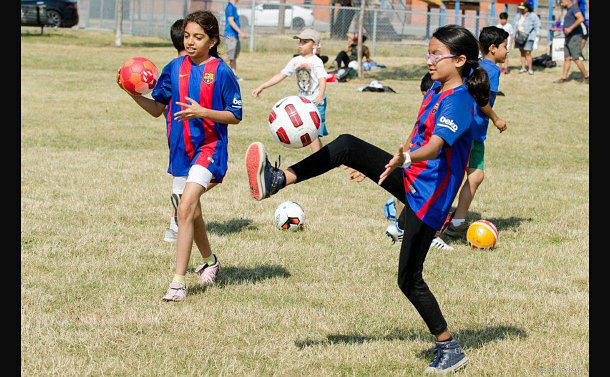 About 125 boys and girls from 33 Division took part in the fourth annual Bridging the Gap soccer clinic on July 21 at Parkway Forest Soccer Fields. 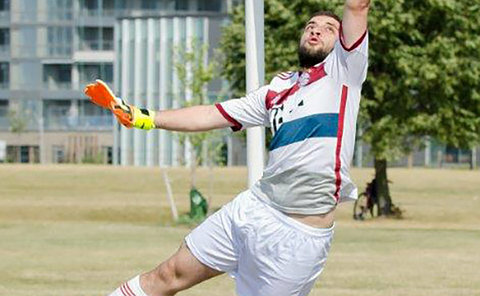 The program is open to boys and girls in the Division’s neighbourhoods ranging in age from seven to 19. 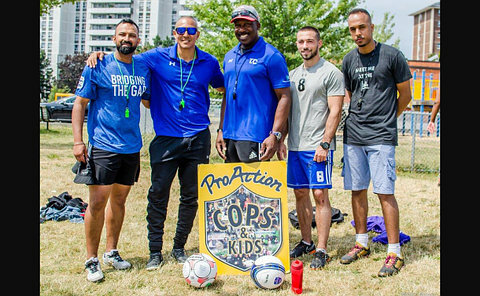 The event is sponsored by Pro Action Cops & Kids and other community partners, including Second Kicks, which provide funds and soccer equipment. 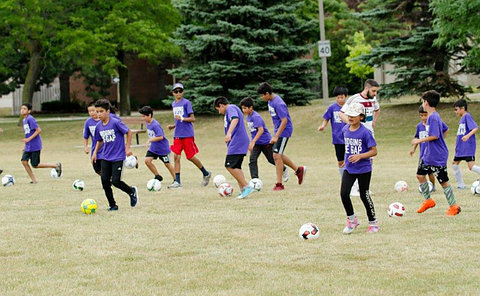 With the funding, each participant receives refreshments, lunch, a T-shirt or soccer jersey and a soccer ball at the end of the event. We had several youths who were with us the first time and they look forward to coming back every year and joining us. Members of 33 Division’s Community Response Unit, Neighbourhood Officer Russ Kimmerer as well as Auxiliary members and other volunteers helped to make the event a success. 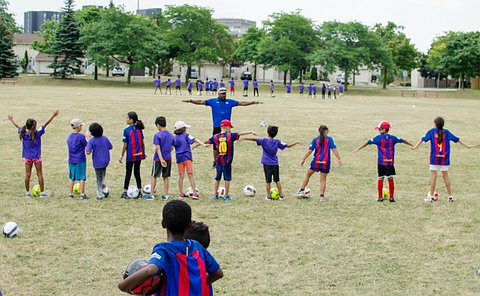 A thank you to Detective Constable Ravi Virdi, Constables Steve Brito and Asad Khan, Court Officer Sergio Vidal and Youth in Policing Initiative student Issey Abraha for coming out to share their soccer knowledge and expertise with the youths.